Laval Nugent is a Croatian national hero, though Croatia did not exist as an independent country during his lifetime. This émigré from Ireland was ennobled as Laval Graf Nugent von Westmeath in recognition of his long and distinguished service with the Austrian Army. Laval Nugent rose to the top military rank of Feldmarschall (Field Marshal) and held high-ranking honours from a number of countries. Both Laval Nugent and his uncle, Oliver Nugent, belonged to the so called Irish ‘Wild Geese’ – soldiers-of-fortune who for family or political circumstances offered their services to various continental armies. Born in November 1777, Laval Nugent was the son of John Nugent and Jane, née MacDonough. 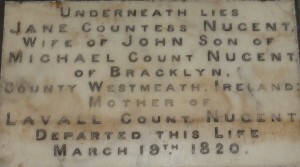 She was descended from the now extinct Irish Dukes of Tirreril, and is buried in Bath Abbey (see photograph). 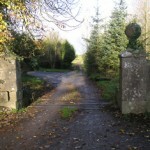 The family lived at Ballynacor House, County Westmeath. 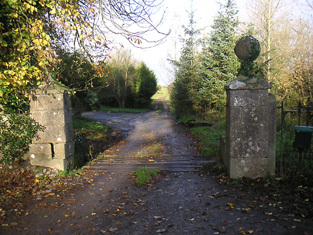 Today, the only traces of Ballynacor are the main entrance gates, their impressive size suggesting the original grandeur of the house and estate. Laval’s father died when he was only four years old. 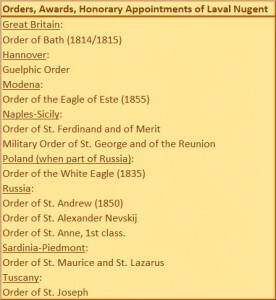 At the age of 12, he was sent to Austria as a ward of his uncle, Oliver, a Colonel in the Austrian Army, who had married Josepha Rath and was to die in 1791 without issue. There young Laval enrolled at the Theresianum Academy, founded by Maria Theresa at Wieden, a suburb of Vienna, to study engineering. He finished his studies in 1794 becoming a lieutenant in the Austrian Army’s Engineering Corps just as the Napoleonic Wars were about to erupt. Laval Nugent’s military career was at the heart of the tumultuous political and military upheavals across central Europe. 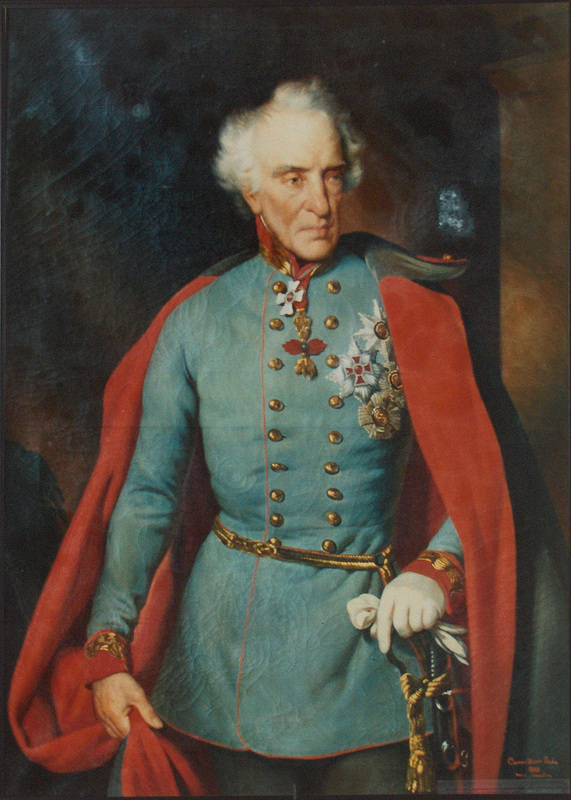 By 1807 he had become a Colonel and two years later he became Chief of Staff to the Austrian commander-in-chief, Archduke John of Austria (1782-1859), while fighting the French. 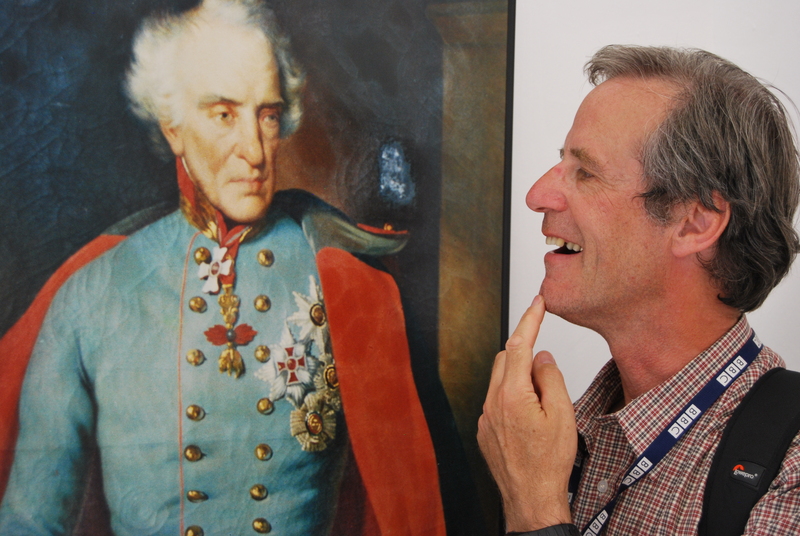 In 1813 Laval Nugent led the Austrian campaign against Napoleon’s Viceroy in Italy, Prince Eugene de Beauharnais. Two years later he commanded the Austrian Army in Italy, liberating Rome and defeating Joachim Murat, Napoleon’s brother-in-law and the self-styled King of Naples, in two celebrated battles. 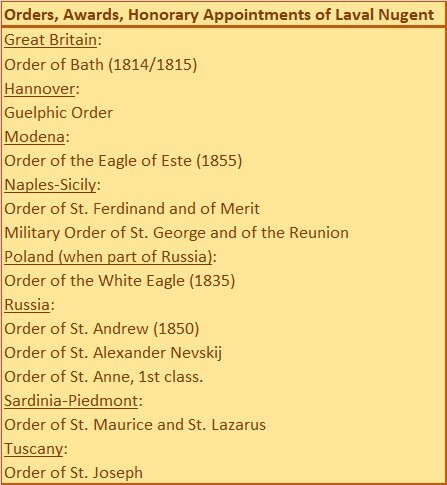 In 1814 he was honoured with the title of ‘prince’ by Pope Pius VII. Britain appointed Laval Nugent a Knight Commander of the Bath while Austria promoted him Field Marshall for his role in the defeat of Napoleon. It is not clear whether he inherited the title of Count of the Holy Roman Empire or whether it was bestowed on him for his services. Much of Laval Nugent’s post-Napoleonic career was spent either beating back insurgencies against the Austrian empire or commanding their border forces, while his Croatian popularity stems from this period as well as liberating Croatia, Istria and the Po Valley from Napoleon’s forces. 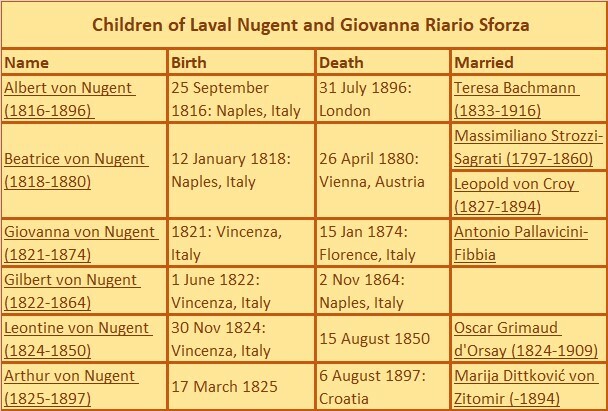 In 1817, Laval Nugent entered the service of Ferdinand I, King of the Two Sicilies, a short-lived geographical and political amalgamation of the southern half of Italy, including Sicily. Three years later he returned to the Austrian army. In 1848 he led an Army Corps under Joseph Radetz (immortalised in the Radetzky March) in what became known as the First Italian War of Independence. He also played a role in opposing the Hungarian Revolution. 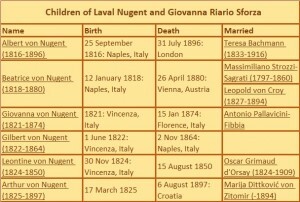 Laval Nugent married Giovanna Riario Sforza (1797-1855) on 26 November, 1815 in Naples, Italy, and they had six children. 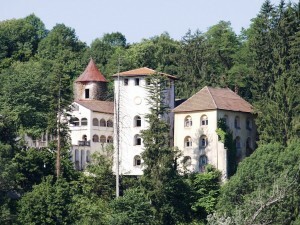 He died on 21 August 1862 at Bosilijevo castle near Karlovac, one of several that he owned. Bosilijevo lies between Zagreb and Rijeka in Croatia. As he rose in the ranks of the Austrian army, Laval Nugent started to acquire homes and castles. By the time of his death he owned six: Trsat, Stelnik, Kostel, Dubovac, Bosiljevo, and Susica – though he only ever lived at the last two. In 1824 he acquired the magnificent Trsat Castle overlooking Rijeka, which dates from Roman times. The castle was occupied at different times by Venetian and Turkish rulers. Laval made it into a museum to display his collection of art works and sculpture from around Italy, some of Roman vintage. Items which were not sold off after Laval’s death to pay for the upkeep of Trsat are now in the care of the Croatian Archaeological Service. 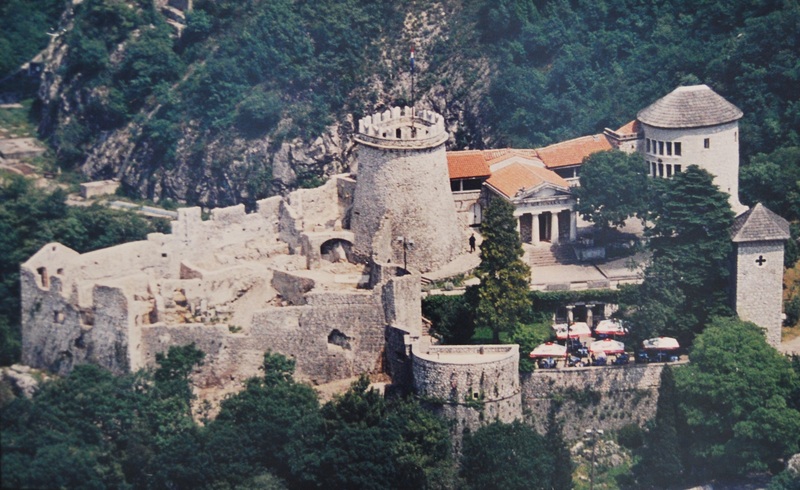 Trsat Castle was extensively restored by Laval and remained in the Nugent family for three generations until the line died out with the death of Laval’s great-granddaughter, Ana Nugent, aged 82, during the Second World War. 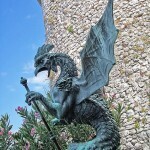 Now the castle is a tourist attraction and concert venue with an impressive view over islands in the Kvarner Gulf of the Adriatic Sea. Allegedly there is a secret passage from the castle dungeon to the nearby river Rjecina. 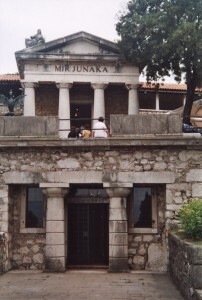 The castle’s Haven for Heroes (‘Mir Junaka’) serves as a Nugent family mausoleum. 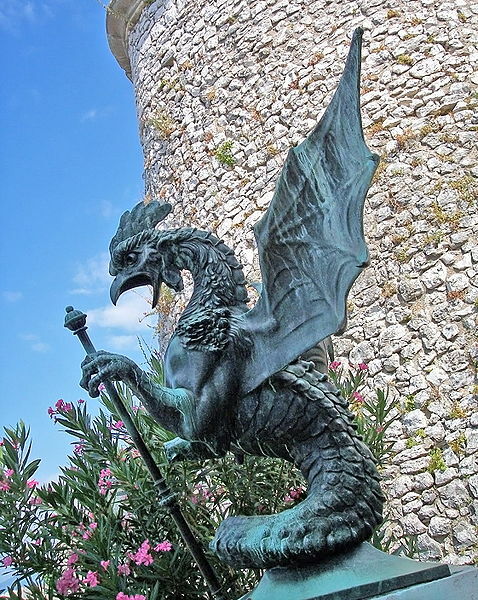 In the mid-19th Century an iron sculpture of the so-called ‘Trsat serpent’ was erected. 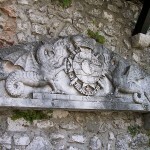 It bears a close resemblance to the Nugent’s family cockatrice, visible elsewhere at the castle in a coat of arms above the family motto, ‘Decrevi’ (“I have determined”). Bosilijevo Castle was owned for many generations by a Krk-Frankopan knez (prince). 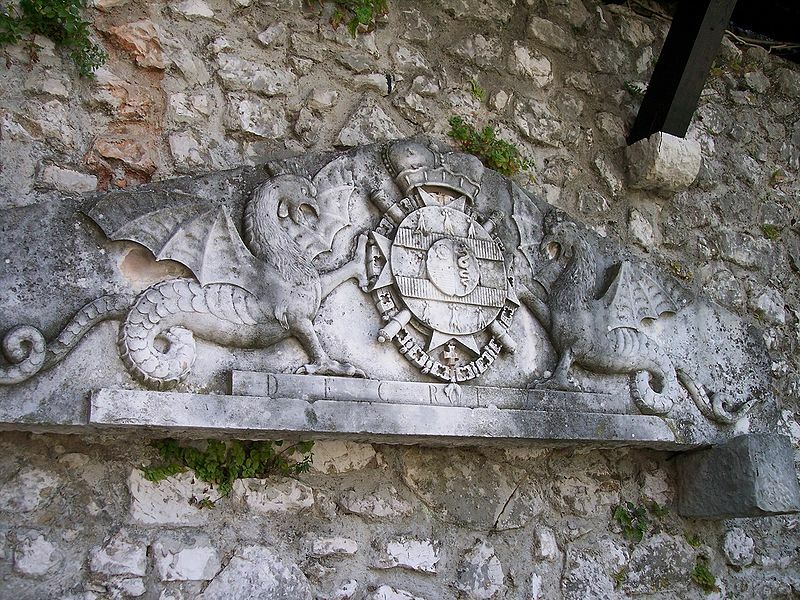 The first preserved written document linking the Frankopans and Bosiljevo dates from 1461, the family had ruled the area for several centuries beforehand, having extended their possessions from the island of Krk to other parts of Croatia. In 1853 Vuk Frankopan founded a Dominican monastery in Bosilijevo, also establishing a large vineyard in nearby Vukova Gorica as well as fighting against the Turks who never captured Bosiljevo. In 1684 King Leopold of Austria gave Bosilijevo to Viceroy Count Nikola Erdedy, who passed it to his daughter, Ana Barbara, and her husband, Count Andrija Auersperg, a renowned family within the Hapsburg court in Vienna with deep roots in today’s Slovenia. Their descendants sold Bosiljevo castle in 1826 to Laval Nugent, whose son, Arthur, later inherited. Following his death in 1897, it was bought at public auction by Arthur’s niece, Countess Ana Nugent, on 9 August, 1902. 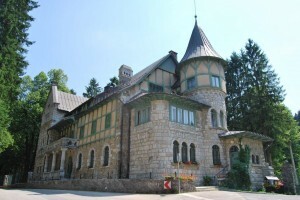 In 1911, Bosilijevo castle was sold by Ana Nugent after which the castle went through a number of hands, including confiscation during Tito’s time. 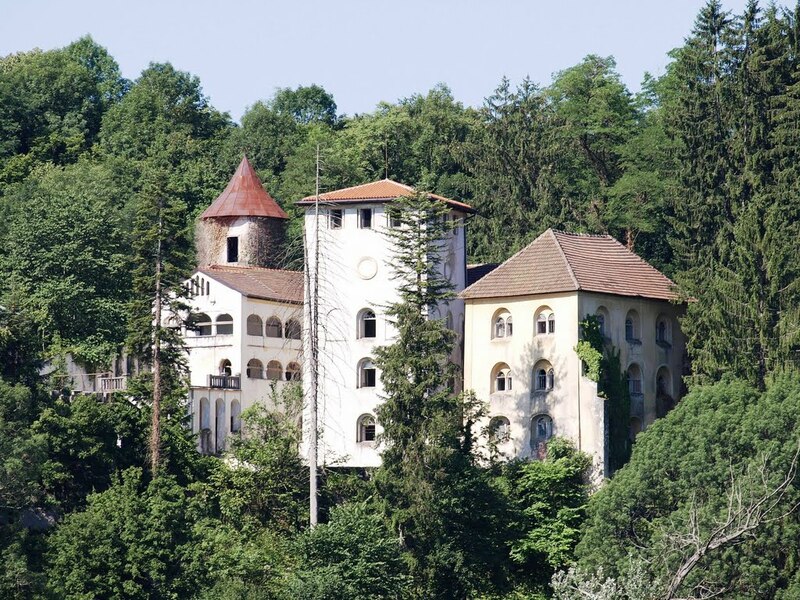 During the Balkans wars of the late 20th century the castle was partially altered to create a reserve hospital after which it was rented to a local businessman with the plans to restore the castle. 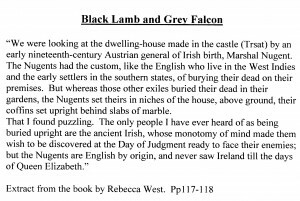 Dame Rebecca West drew attention to what she said was a West Indian practice of burying family members in mausoleums at their homes in her famous book about the Balkans, ‘Black Lamb and Grey Falcon’, first published in the 1930s. She suggests they were buried upright (see quote). The Nugent family has a long association with the West Indies, especially the island of Antigua, but I have not come across any instance there of a family member being buried at a family home, whether horizontally or vertically! On the contrary, there are many Nugent graves to be found in church graveyards. 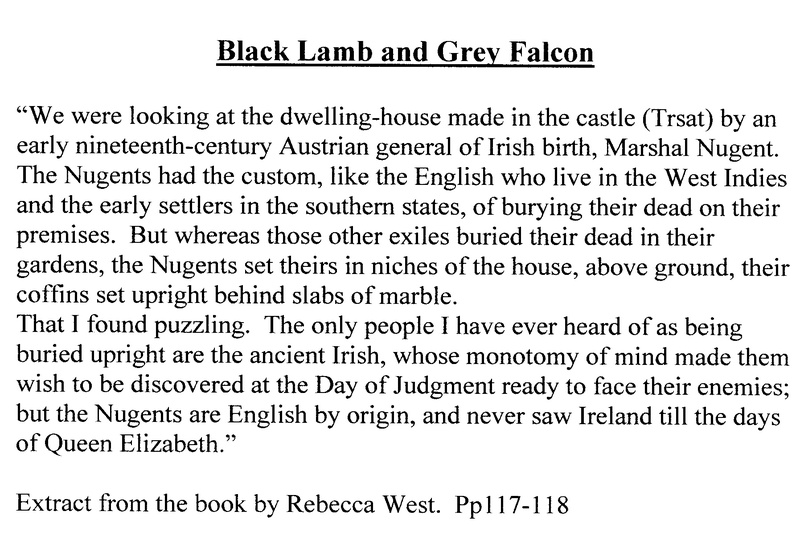 But then it is also not the case that the Nugents never saw Ireland till the time of Queen Elizabeth 1, as this website makes clear. Laval Nugent seems to have been a very prominent figure that people still today remember, with an air of mystery surrounding his biography. First of all he was a great warrior who kicked the French out of Croatia, which people still remember with pride. 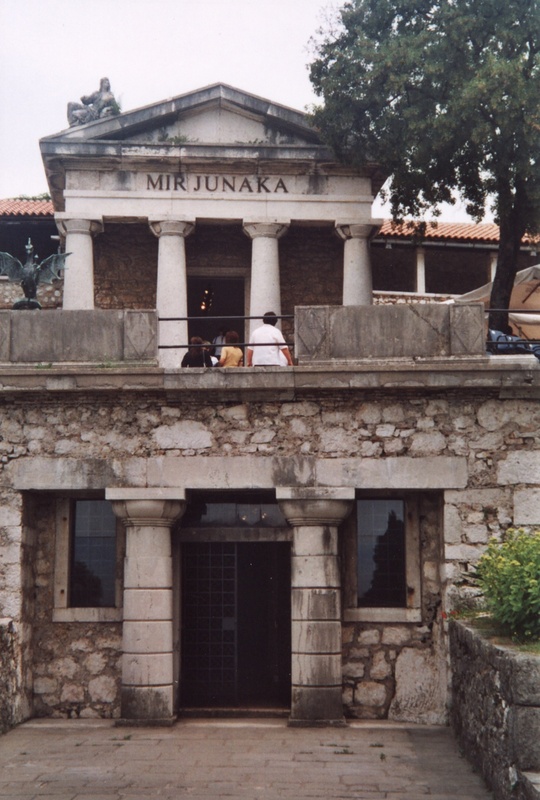 Founder of the first museum in Croatia, he was a great patron and collector of the arts; his private collection included 1500 Ancient Greek vases, 20 sculptures (he financed the excavation himself). What remains of his collection is in the archaeological museum in Zagreb – 30 old manuscripts, an antique coin collection, lots of expensive furniture, a collection of graphics and paintings of prominent Nugents and related individuals, over 200 paintings he inherited from the d’Este and Foscari families. Count Laval’s real estate included at least six castles and two old towns. Laval had an obsession with buying old castles and refurbishing them to lavish standards. Most of his wealth was sold by his family after his death. Still today Laval Nugent (pronounced the French way) is talked about as one of the most romantic persons of 19th century Croatian history.